From Left to Right: Naveen Kumar – Chief Manager, SBI; Mihir Narayan Prasad Mishra – General Manager (SME Business Unit), SBI; Kalyan Basu – MD and CEO, A.TReDS Ltd.; Narayanan Sadanandan – Chief General Manager (SME and Supply Chain Finance), SBI; R Muralidharan – Deputy General Manager (eCommerce Unit), SBI; Roshan Singh – Invoicemart. Invoicemart launched in 2017 and has since crossed Rs. 2,020 crores in business volumes. 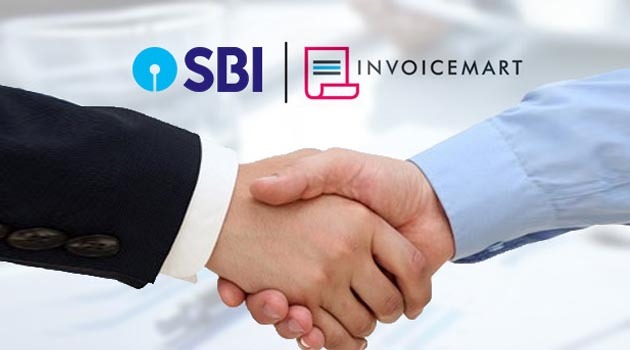 Invoicemart, a TReDS (Trade Receivable Discounting System) platform is a digital invoice discounting marketplace by A. TREDS Ltd, a joint venture between Axis Bank Ltd and B2B e- commerce company mjunction services ltd. It is a platform which connects MSME suppliers (sellers) and their corporate buyers to multiple financiers. This platform enables discounting of invoices of the MSME sellers raised on large buyers, through a transparent bidding mechanism that ensures financing of receivables at competitive market rates. The platform allows MSME suppliers to avail finance quickly and at competitive interest rates which in turn helps increase their working capital efficiency without impacting their relationship with buyers.